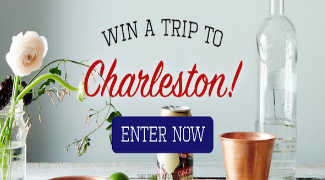 Williams-Sonoma 2018 Win a Trip to Charleston Wine + Food Sweepstakes – Win a trip to South Carolina & more! 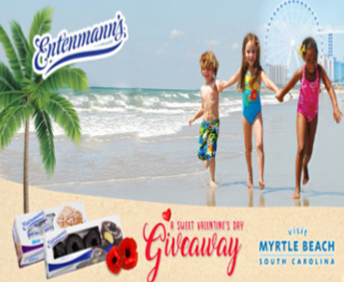 Win a trip to South Carolina & more! ENTRY LIMIT – Limit Each participant may enter only one time during the Promotion Period. ELIGIBILITY – The 2018 Win a Trip to Charleston Wine + Food Sweepstakes is open only to legal residents of the fifty (50) United States (and the District of Columbia) who are at least eighteen (18) years old at the time of entry. SWEEPSTAKES ENTRY PERIOD – The Sweepstakes begins on January 18, 2018 at 12:00 a.m. United States Eastern Time (“ET”) and ends on February 5, 2018 at 11:59 p.m. ET. Approximate Retail Value (“ARV”): $4,995 USD. 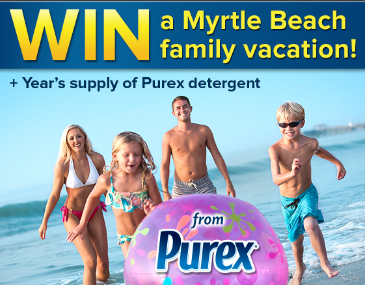 Lipton® #BeMoreTeaSweeps – Win a trip to South Carolina! 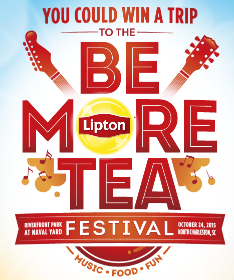 Win a trip to Charleston, SC for the Lipton Be More Tea Festival (125 Winners)! ENTER SWEEPSTAKES HERE – Lipton Tea Sweepstakes page. ENTRY LIMIT – Limit of four (4) entries per person per Daily Sweepstakes Entry Period regardless of method of entry. ELIGIBILITY – Lipton® #BeMoreTeaSweeps (the “Sweepstakes”) is open only to legal residents of the United States residing in one of the fifty (50) United States or the District of Colombia who are 18 years of age (19 in AL or NE) or older at time of entry. 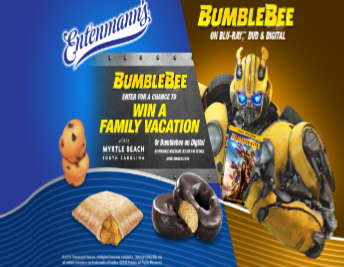 SWEEPSTAKES PERIOD – The Sweepstakes begins on May 18, 2015 at 12:00am Eastern Time (“ET”) and ends on September 19, 2015 at 11:59 pm ET. PRIZES – One Hundred and Twenty Five (125) daily grand prizes will be awarded. Each daily grand prize winner will receive a Lipton® Be More Tea Festival Trip that consists of a two (2) night/three (3) day trip for two (2) persons (Winner and one (1) travel guest) to Charleston, SC to attend the Lipton® Be More Tea Festival on October 23-25, 2015. Travel will commence on October 23, 2015, returning to winner’s home on October 25, 2015. Trip includes: Round trip coach air transportation for two (2) from an airport near winner’s home within the continental U.S. (airport, carrier and itinerary selected by Sponsor), one (1) double occupancy standard hotel room for two (2) nights, ground transportation to and from the airport, hotel and Festival in Charleston, two (2) tickets to the Lipton® Be More Tea Festival, and $200 spending money. ARV: $2,300 depending on winner’s point of departure. Tasting Table 2015 Trip to Charleston Sweepstakes – Win a trip to South Carolina & more! 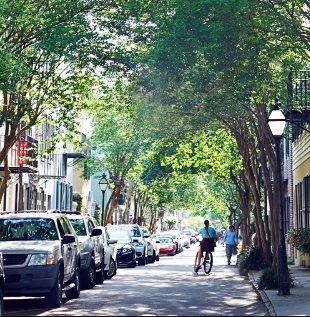 Win a trip to Charleston, South Carolina and $1,000! ENTER SWEEPSTAKES HERE – Tasting Table Sweepstakes page. ENTRY LIMIT – Limit: one (1) registration per person and per email address, except for each friend you invite to enter the Sweepstakes through the method made available in the Sweepstakes entry pages, you can also obtain a “bonus” entry. Limit: four (4) bonus entries per person and per email address. By entering the sweepstakes, you agree to sign up to receive newsletters from Tasting Table, Food52, Skfit and Stayful. ELIGIBILITY – Tasting Table 2015 Trip to Charleston Sweepstakes is open only to legal residents of the forty nine (49) United States and the District of Columbia (void in Rhode Island, Puerto Rico, all U.S. territories and possessions and all overseas military installations) who are at least twenty one (21) years of age or older as of February 16, 2015. SWEEPSTAKES PERIOD – The Sweepstakes entry period begins at 12:01 a.m. EST on February 16, 2015 and ends at 11:59 p.m. EST on March 16, 2015. PRIZES – Grand Prize: Two (2) round-trip economy airline tickets within the United States to Charleston, SC including all taxes and fees pertaining solely to the two (2) round-trip economy airline tickets, from a major airport nearest the winner’s primary home residence (as determined by Sponsor) in the forty nine (49) states within the United States (void in Rhode Island, Puerto Rico, all U.S. territories and possessions and all overseas military installations). Value up to $700 USD. Accommodations for two (2) persons (one  single room, double occupancy for three (3) nights in Charleston. Overnight accommodations are complimentary inclusive of taxes and resort fee, based on double occupancy. Additional occupancy or room changes are subject to additional fees. Room cannot be combined with any other offer, promotion or sweepstakes, Value up to $600. One (1) $1,000 USD gift card or similar items to the sole sponsors choosing. Total ARV: $2,300.